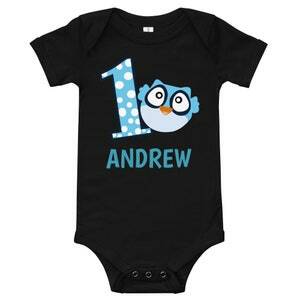 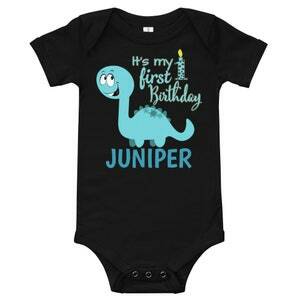 Celebrate baby's first birthday with our cute bodysuit. 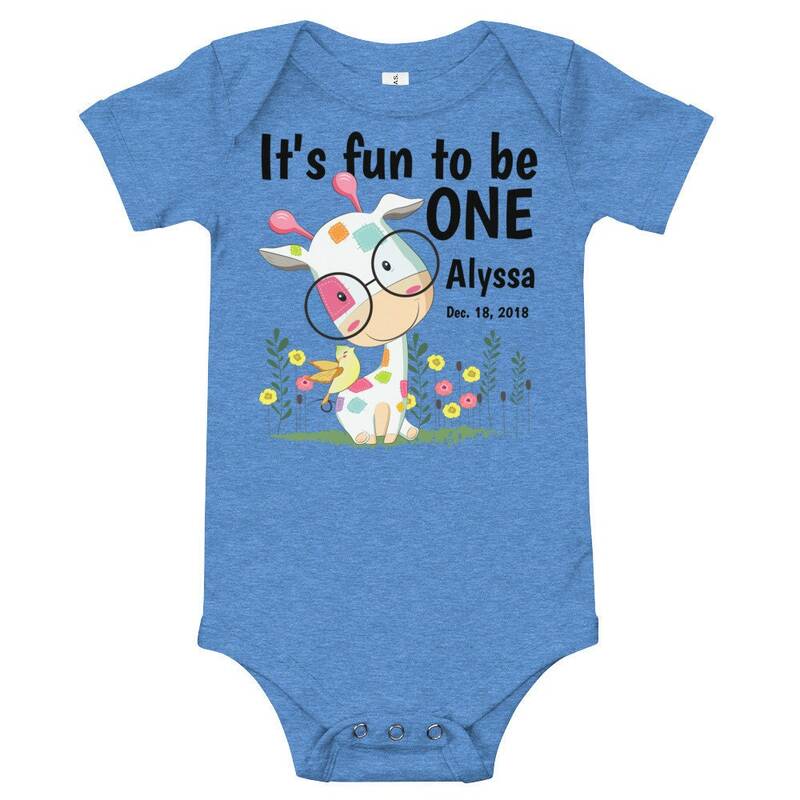 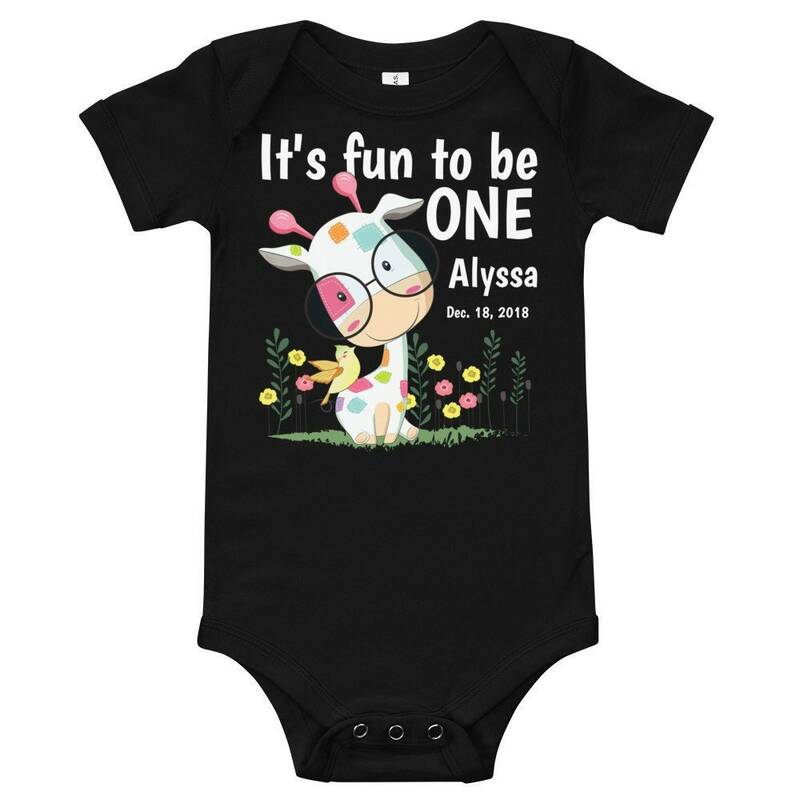 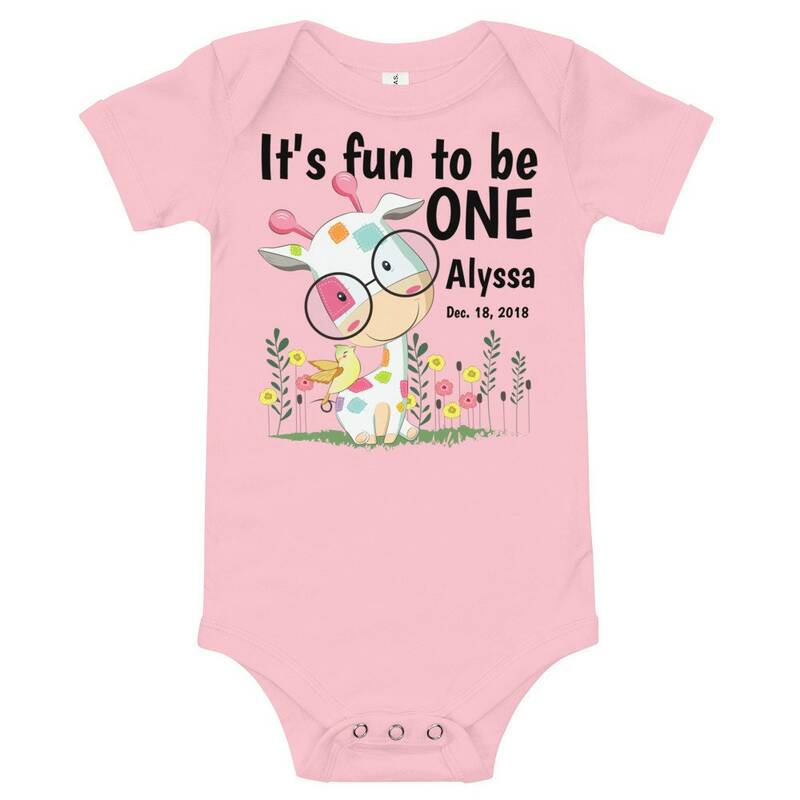 Design has adorable cartoon cow with floral accents and custom name, birthdate to add a personal touch. 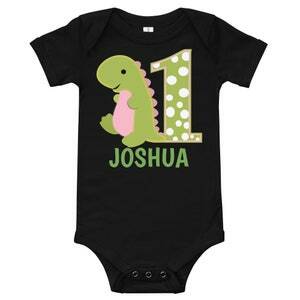 This bodysuit is 100% cotton. 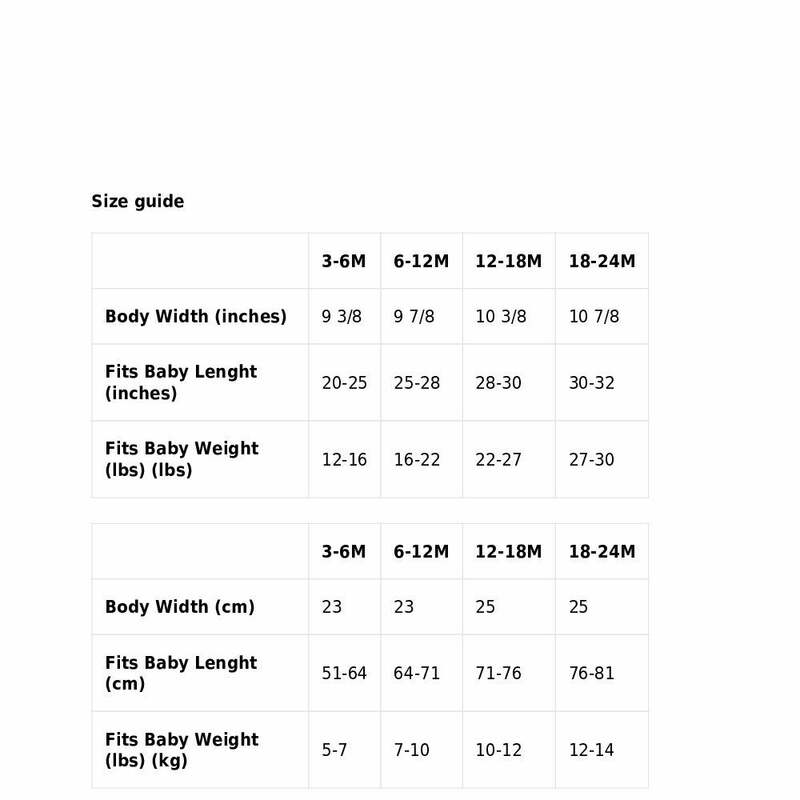 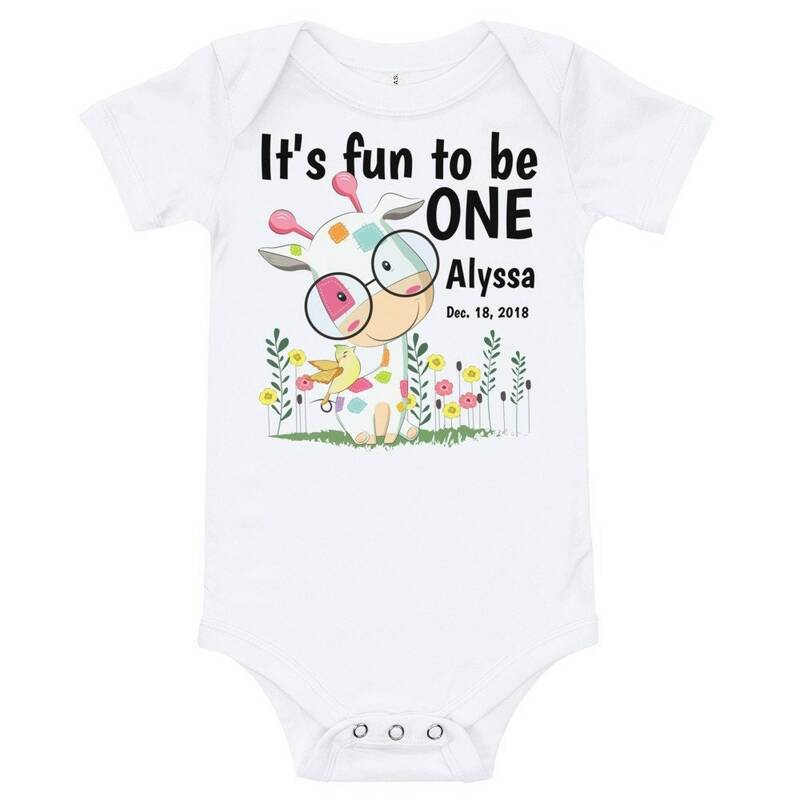 It has three snap leg closure for easy changing, a comfortable envelope neckline, and a beautiful print that's bound to get the baby all happy and giggling.